With so many choices for where to stay on your Tucson golf vacation, let the experts at Golfing Tucson assist you in planning your accommodations for your golf trip to Tucson. Tucson was made famous by its golf resorts that include the Omni Tucson National Resort, Ventana Canyon, Hilton El Conquistador Resort, Westin La Paloma and Vistoso Resort Casitas. 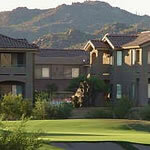 Golfing Tucson offers the best of golf resorts in Tucson, and hotels and condos in the Tucson area that will suit any size golf group. 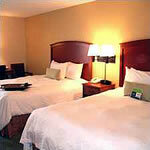 All of our accommodations have been carefully selected to meet the best in comfort, quality and convenience. With so many choices of top golf resorts and hotels in Tucson, let Golfing Tucson assist you in planning your golf resorts and hotels for your next Tucson golf package. Please browse the list of Tucson hotels and golf resorts from the list below to view descriptions, images, amenities and much more. 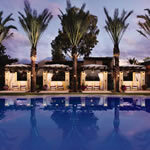 See why Tucson is home to some of the best hotels and golf resorts in Arizona. Relax at the Hampton Inn Tucson North for your next golf getaway. 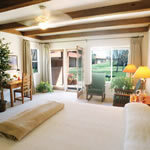 This hotel features complimentary breakfast each morning along with a full exercise center and outdoor swimming pool. The Hilton El Conquistador offers luxurious accommodations along with 36 holes of championship golf, spa, salon, fitness center and three onsite restaurants. Relax in one of the four sparkling pools or in the Desert Springs Oasis. Located on a 650-acre retreat, the 4 star Omni Tucson National Resort & Spa is among one of the best golf resorts in Tucson. Featuring 36 holes of championship golf, come see why the Omni is voted the #1 four star resort in Tucson. 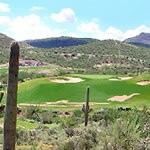 Tubac Golf Resort is a full service resort and spa that is secluded away from the city. Home to 27 holes of Tucson golf, this resort has it all from hiking, golf , spa and many more activities. The famous "Tin Cup" movie was also filmed here. Located in the master planned community of Vistoso, lies the Vistoso Resort Casitas. This upscale community offers luxurious two and three bedroom casitas that will suit any size golf group.